Following nearly two years of successful work for Robert Spano in Europe and Asia, we are delighted to announce that we have extended our agreement globally. 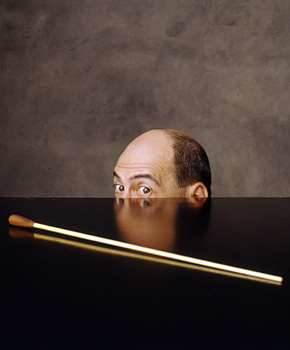 Robert Spano is currently in his 18th season as Music Director of the Atlanta Symphony Orchestra and he is also Music Director of the Aspen Music Festival and School where he oversees the programming of more than 300 events and educational programmes, including the Aspen Conducting Academy. He is currently in New York conducting the US premiere of Nico Muhly’s Marnie at the Metropolitan Opera and has upcoming concerts with the Royal Liverpool Philharmonic and San Diego Symphony. In addition to mainstream repertoire Spano’s programming in Atlanta reflects his passion for contemporary music and features works by Jennifer Higdon, Michael Gandolfi, Christopher Theofanidis and James Oliverio. This season he collaborates with soloists including Kirill Gerstein, Johannes Moser, Roberto Diaz, Daniel Hope, and Jeremy Denk. The closing of the season is Beethoven’s Fidelio, featuring the acclaimed ASO Chorus and starring soprano Christine Goerke. For more information, please contact Linda Marks or Ed Milner.